Did you know that the Board of Directors is the Governing Authority over TEACH? This means they help to guide all of the units that make up our organization- co-ops, field trips, athletics, special events like formal and graduations, etc. We hold an election each year to choose our new board members who will serve a two year term. We want to make sure you know who your board members are! They are moms and dads in the organization just like everyone else and are happy to chat with you anytime. Their contact info is listed on the Contacts page. 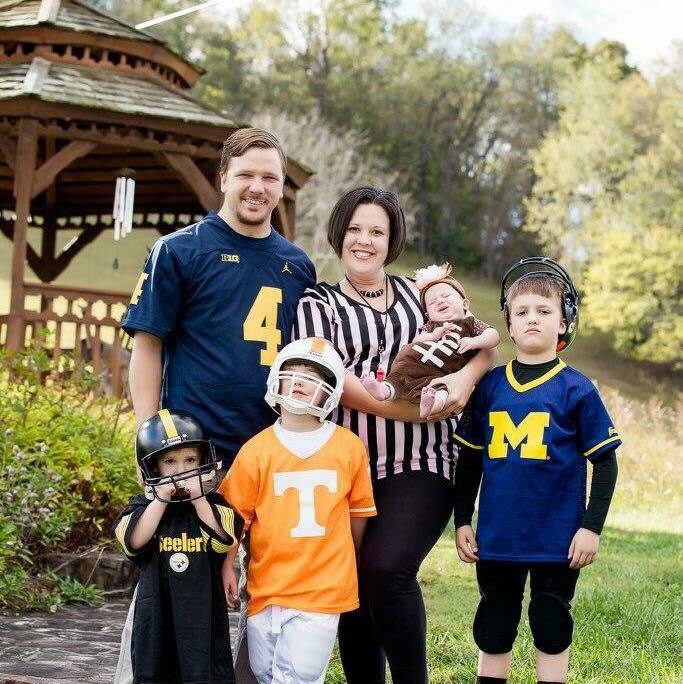 Jilian and Adam are the mother and father to three boys- ages eight (Carter), five (Cole) and three (Cash) and a baby girl (Charlie) who is ten months old. Jilian has coordinated TEACH field trips for the last two years and co-coordinated kindergarten graduation for the past three years. 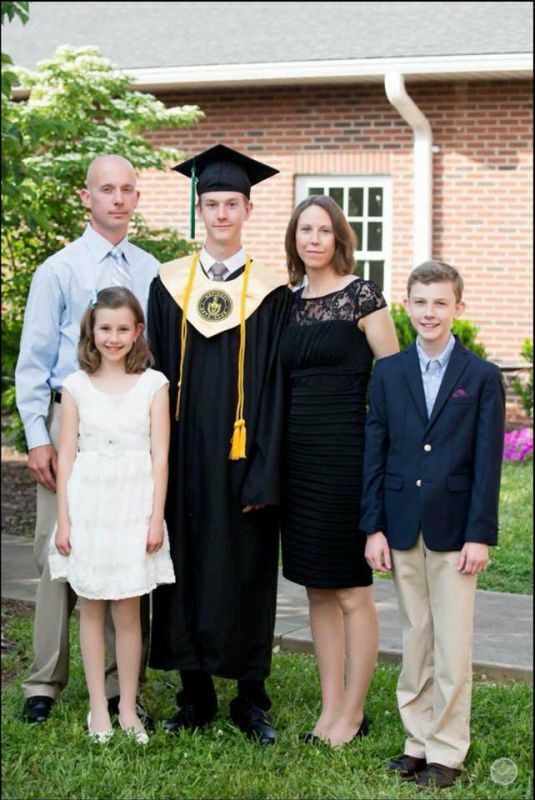 The Reece family attends and Jilian teaches at both BLAST and TEACH Johnson City Co-ops. Jilian works full time as the Director of Carter County Drug Prevention Coalition, targeting youth prevention and cessation of binge drinking, substance abuse and tobacco use. She holds positions as the Vice Chair of the Carter County Community Advisory Board and is a member of the Imagination Library BOD, Carter County Health Council, Red Legacy Recovery BOD, BABE Breastfeeding Coalition BOD, Healthier TN Communities BOD and standing member of the Elizabethton/Carter County Chamber of Commerce. Adam Reece is the Warehouse Manager of Summers Industrial Supply Company in Johnson City. He contributes greatly to the Reece family homeschool, consistently providing science and nature studies, among others. He is currently helping to coach the Power Rangers in T-ball through Elizabethton/Carter County Youth Baseball Association and the Dirtbags in coach pitch travel baseball through USSSA. In the past, he has also coached with the Elizabethton Soccer Association. 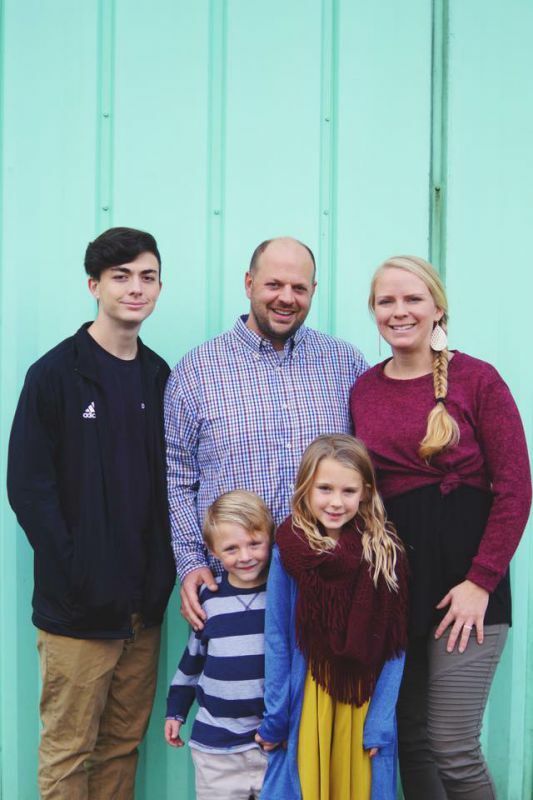 Adam is an usher and Building and Grounds Board member at Calvary Baptist Church in Elizabethton where their family holds membership. 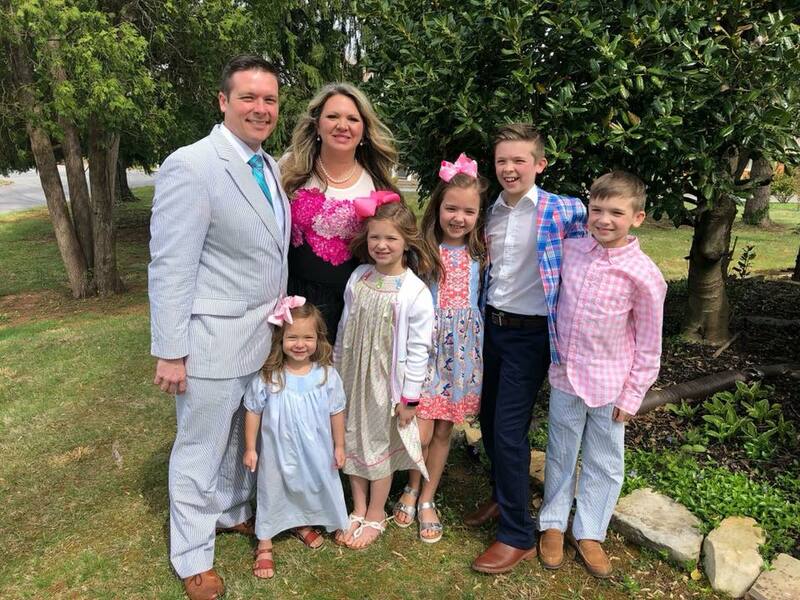 Jilian serves on the church's nominating committee, leads 1st-2nd grade Sunday School and co-directs the church’s women’s ministry on Wednesday nights. 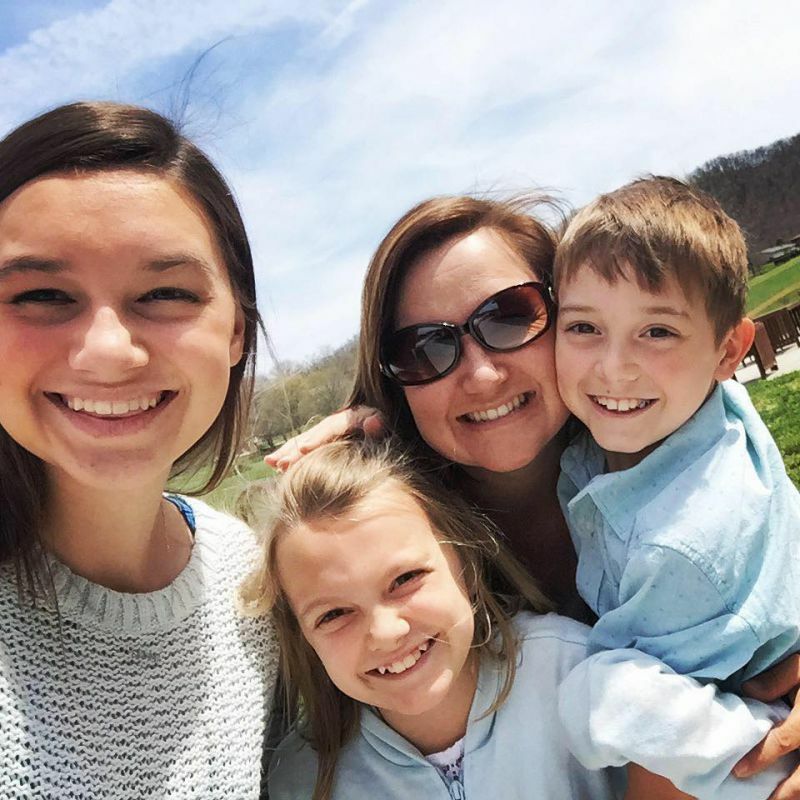 Rebecca Marr is mom to three children - Jocelyn is in High School, McKenna in Middle School and Camden is finishing up Elementary. Her family is starting their 6th year homeschooling! Rebecca is currently the TEACH Webmaster and this year she is assuming the position as Treasurer for all of TEACH. She’s behind the scenes updating your membership accounts, processing new members, sending out emails and preparing online registration for both co-ops. As treasurer for TEACH, she is the liaison between our organization and the government, maintaining the paperwork and filings for our non-profit status. She also oversees the budget for TEACH by communicating with the treasurers of Athletics, BLAST and JC co-op. Rebecca keeps the budget for the events and activities that fall under the main TEACH organization. Rebecca and her children have been with TEACH for 4 years. They attend and Rebecca teaches at the TEACH JC co-op. Jocelyn and McKenna both cheer for the Guardian’s basketball teams. Rebecca has owned her own photography business, Rebecca Marr Photography, for 13 years and last year she began working as a Travel Agent for Treadway Travel Company. She has a degree in Early Childhood Education from Milligan College and taught 1st grade before having children. She loves to travel and camp with her kids and has a huge heart for her array of animals. This is the second year they have served on the Teach board together. They have 5 kids, Mitchell 12, Lawson 9, Baylor 9, Hadley 7, and Malone 3. Lauren is one of the Co-Directors at the JC Teach Co-op. With a degree in Early Childhood from UK, Lauren has taught preschool, elementary, and middle school classes at co-op. Dustin is an M.D. and they own Black Bag Family Healthcare together. Dustin had taught high school chemistry, biology, and logic in addition to middle school classes and a preschool storytelling class one year. They are both very active in their church at Christ Community where Dustin currently teaches classes on worldview and Hebrews. Jennifer and her husband, Danny, have been married for 14 years and have 4 children. Before having children, Jennifer worked in the public school system and then later as an adjunct professor. They have been a part of TEACH for 7 years. Co-op has been a blessing to her family. She and her family have found life-long friends and an amazing support group at co-op. She wants to serve the homeschool community through the TEACH board. Hey y’all! We are Ben and Jess Green. We have been married for just over 13 years now, and I couldn’t imagine a better partner to have. Ben is a jack of all trades. He works as an armed guard and is also a certified pyrotechnic (crazy combination-I know!). I am a stay at home mama who loves to write and get lost in the mountains. Together, we work with the youth at our church-where Ben also leads our security team. We believe God has called us to work in our community with youth and young families that need to see the love of Jesus. We have three little people. Abigail, our 11-year-old cheerleader/contortionist; Arianna, our 4-year-old doctor princess; and Elijah, our 2-year-old tornado. Their imaginations inspire us and keep our days busy! Sarah Wooten has been married to her husband, Chris, for 19 years. She is mother to 3 children, Austin, Elijah, and Emma. She has been homeschooling for almost 13 years. 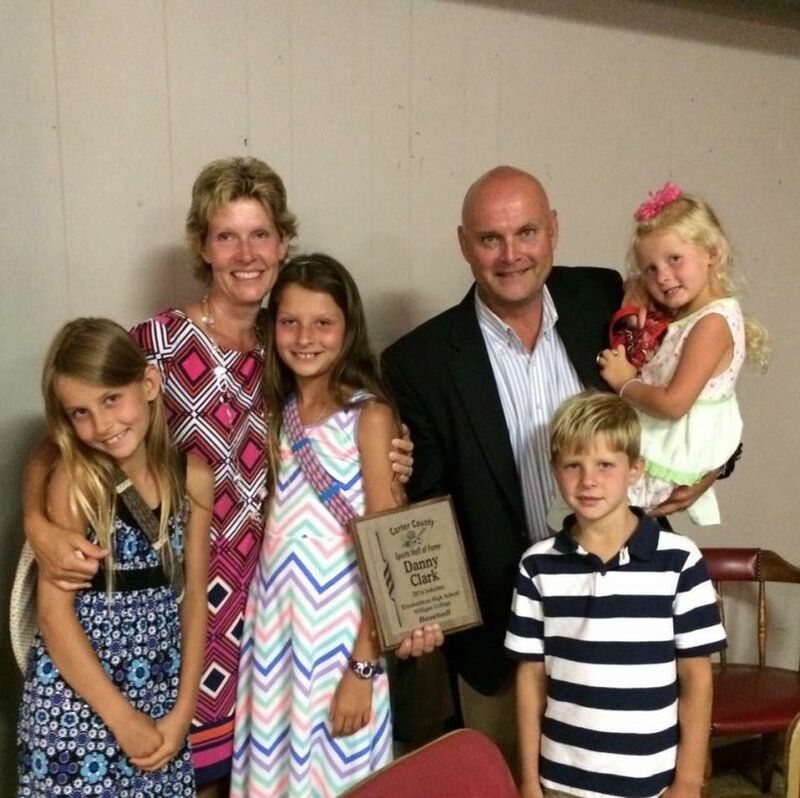 The Wooten family have been TEACH members for 6 years. Sarah has served with the Formal Committee, Yearbook, BLAST Co Director, and as an alternate on the Board. She enjoys gardening, hiking, and spending time with family. Amber and Andrew Price are local to Johnson City. They have 3 children; Seth 18, Jewel 8, and Ryder 5. Amber is the volunteer coordinator at TEACH Johnson City and loves working with children and has a degree in early childhood development from ETSU. She taught preschool many years before homeschooling her own. Andrew loves adventure and helping people. He has taught Psychology, Sociology, Geography, and Fencing at Teach over the last two years. He has a secondary teaching degree from ETSU in History, Geography, and Sociology. he also has a Masters from Liberty Theological Seminary. They run a ministry in Kenya with local pastors helping with church planting, clean water projects and small business education. The ministry is called Maji Ministries International. Their family also just went through Foster classes and should be adding a few children to their family in the near future.